The Sun inside a stellar stream. 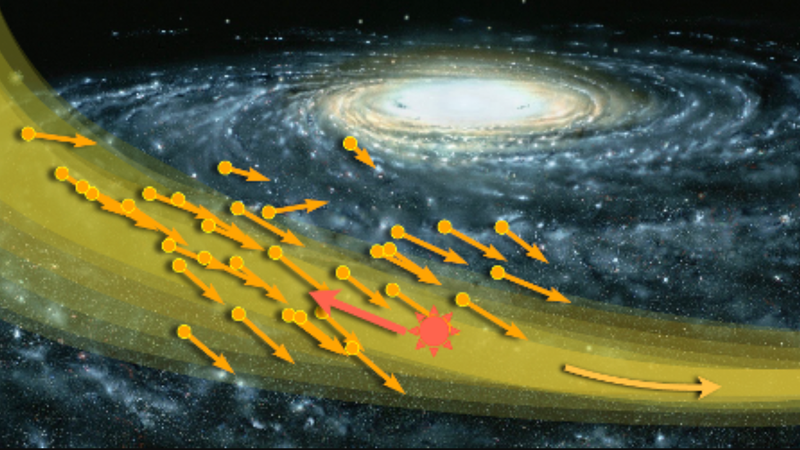 Stellar streams are populations of related stars that could have once been pieces of a dwarf galaxy or globular cluster, but have now been shredded apart by gravitational forces and pass through parts of our galaxy. Since astronomers are pretty sure that stuff called dark matter serves as the gravitational scaffolding for dwarf galaxies, then presumably a stellar stream should also contain some percentage of dark matter. Maybe a dark matter experiment could detect dark matter particles from the recently discovered stream running through our cosmic neighborhood. The most successful models to describe the universe are based on experiments showing that that the cosmos is made up of 5 percent regular matter, perhaps 70 percent “dark energy” that is driving the universe apart, and the rest, around 25 percent, “dark matter.” Scientists have reason to believe that dark matter consists of particles, the same way that everything we can see is made of particles, and that it’s the scaffolding for the universe’s large-scale structure. 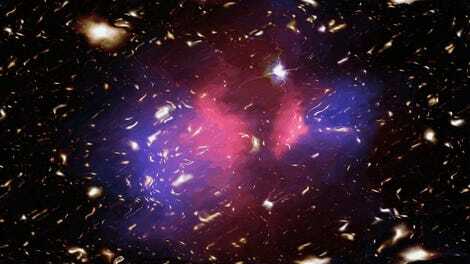 But this dark matter has only ever been observed based on its gravitational effects. Perhaps this dark matter hurricane could be detectable by today’s existing dark matter detection experiments, and would have a distinguishable signal from the Milky Way’s background dark matter. It would move much faster—a “hurricane,” compared to the background dark matter “wind,” according to the paper published last week in Physical Review D. The researchers then analyzed whether they’d be able to spot the stream with upcoming dark matter detectors. What Is Dark Matter and Why Hasn&apos;t Anyone Found It Yet?